Life-threatening allergic reactions to foods have increased by five times over the last decade, according to a new analysis of private insurance claims by FAIR Health, an independent nonprofit that collects and analyzes data on privately billed health insurance claims. Here & Now's Robin Young talks with food allergy researcher Dr. Ruchi Gupta (@ruchisgupta) about what could be causing the increase. "We're seeing this a lot, all over the country. We're seeing increased rates of prevalence — both for kids and for adults in food allergy — and the 'why' question is very important, and it's really hard for us to come up with one single answer. 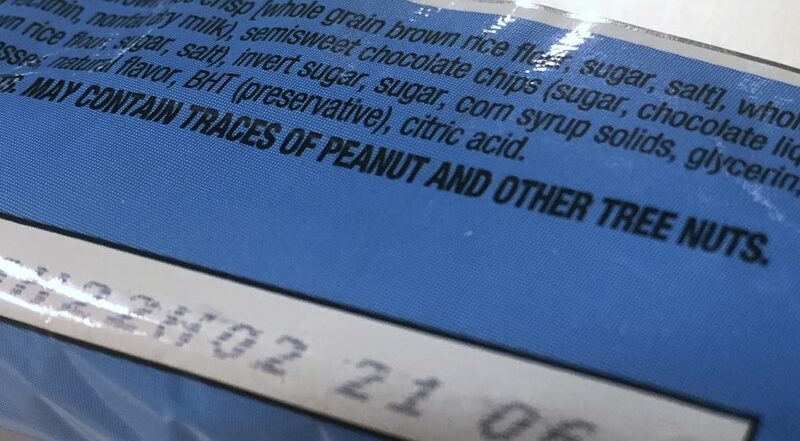 A food allergy is caused by both genetics and environment, so, we're trying to understand, what are those environmental triggers that may have caused this turn-on switch, almost, for increases in food allergies? Some of the more common areas that are being explored is the hygiene hypothesis: Are we too clean? Are we using too many antibiotics? Is this changing our good bacteria in our gut? A lot of the microbiome hypotheses are coming into play right now to better understand why we're seeing this increase." "Basically, we didn't know why this rise was happening, and it was thought that maybe we should be avoiding peanuts early in infancy, and a recent study in 2015 out of London showed that if you introduce peanut products to infants early — like in that first year of life — they have a high probability of not developing a peanut allergy. And this is especially in high-risk infants, really in infants that have severe eczema, the atopic dermal rash. If they have that, then it's really, really important that they get checked out and start introducing peanut products into their diet. Peanut is the No. 1 food allergy, but there's also, tree nuts, milk, eggs, soy, wheat, shellfish and finfish, those are what we call the top eight, that cause about 90 percent of food allergies." "For the first time, we're really trying to understand adult food allergy. And I think there's a lot of misconceptions out there, and you have to be very careful, because if you eat a food and you have something negative happen to you, you may think it may be a food allergy. But, a lot of things can masquerade as a food allergy. So, what we found was yes, there's a lot of misconceptions, and a lot of adults think that potentially, if you have an intolerance, say, a milk intolerance — if you drink milk then you get a little bit uncomfortable or bloating — that is an intolerance and that is treated differently. "Similarly, there's something called oral allergy syndrome, where — this happens a lot with fruits, so if you eat a fruit and you get some tingling or swelling around your mouth, you may worry that's a food allergy, and that's not. Now, a true food allergy can cause really severe, life-threatening reactions, so that's when you eat one of these foods and you can develop anything from hives — which is very common — to vomiting, to a drop in blood pressure, trouble breathing, and it can progress rapidly. So that's why it's so, so critical that people that are diagnosed with a true food allergy need to carry epinephrine with them and know what to do in case of a severe allergic reaction." "What we found is that adult-onset food allergy is getting more common, and the two top ones are shellfish and peanuts — or tree nuts, you know, all the nuts. And what's really interesting is adults may have it, and they will have a reaction, and then they'll avoid the food. I think it's so critical to encourage adults to make sure that they go and see an allergist and get tested and really understand what their food allergy is, and how to be prepared for an allergic reaction. I think there's more adults developing it, and I think adults often don't take care of themselves as well as they do their children, and so currently, since we have no true treatments for food allergy, the biggest thing we can do is to really be very vigilant about avoiding the food." "I think it's important for parents, first of all, if you have an infant, to really do that early introduction of peanut products. That's something that we've studied and we've found could really reduce the risk of developing a peanut allergy. Now, if the child already has a food allergy, then it's important to be aware of what to do in case of an allergic reaction, and yeah, I think for most parents, the awareness is increasing so much, and the community has become very supportive, and there's new policies in schools and many places that help safeguard children with food allergies. But, the increase in severity is very interesting. I'm not completely sure why that's happening, or to what extent, but I think that the bottom line is, with the support of friends, family, community, and understanding what to do in case of an emergency, these kids can live very normal lives." "A couple treatments that are currently in clinical trials include oral immunotherapy, which is when you eat small amounts of the food under supervision of an allergist, and you increase it progressively until you can tolerate higher amounts. So, that's one treatment that's in phase three, and the other one is a patch, similar mechanism, where small amounts of the food enter through your skin, and you're able to kinda desensitize, or be able to eat up to a couple peanuts. So, what's great about these treatments is they're being developed for peanut, but then they're moving onto hopefully other foods, and so soon, we may have actual treatments for these kids and adults." New York Times: Can You Develop Food Allergies At Any Age?